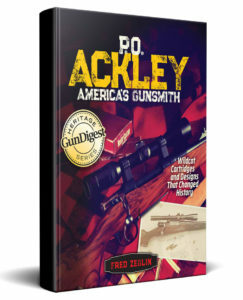 Just in time for the Christmas Shopping season Fred Zeglin has released a new booklet that will interests any and all Ackley fans. This is a detailed look at exactly how to set headspace correctly for Ackley Cartridges. 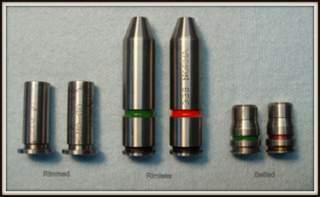 Including all types of cartridge cases, no matter what method of headspace is utilized. The author assumes that you know how to chamber a barrel and concentrates on the proper way to measure headspace. 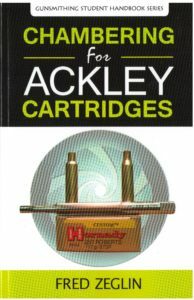 Ackley Improved cartridges are probably the most abused and confused of all cartridges. The correct methods of headspacing these cartridges is pretty simple, it’s probably for that reason that they receive such poor treatment from so many gunsmiths; likely folks try to make it more complicated than it really is, or take short cuts that can make them less than desirable. This title is one of the first in the new Series of Gunsmithing Student Handooks that Zeglin is assembling. The idea is to wring out a narrow subject so that there can be no mistakes. Reloader and gunsmiths alike will benefit from the accurate information contained in these books. Check them out.